Clean off the dresser top in our bedroom: Our bedroom is not baby proofed and, as such, not much used and becomes a virtual dumping ground for mail piles and other things we don't have room for in our main living areas. I dread walking through the door at times because it isn't a restful place right now. Really romantic. Last week I purged my closet. This month the dresser top need to be cleaned off. And it needs to stay that way. Purge the bathroom shelves: We have a tall, narrow shelving unit in our bath that is over-run with toiletries (samples, old stuff, half-full pots and bottles, new). If it isn't being used, it needs to go. We will eventually be selling this condo and creating the illusion of more space is key. I'd like to get that piece out of the bath completely and send it to the cub for large trash pick-up but, the purging must happen first. Good luck this month!! 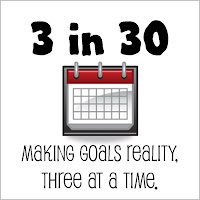 I like this goal concept, sounds manageable. I made the same kind of scrapbook for A's first year also. It took me about 18 months to complete but I love that I have it and look back at it often. looks like it's coming together! can't wait to see how you progress. and i too agree - it's great putting it together a year later, you have so much hindsight, much more to add to the journaling! 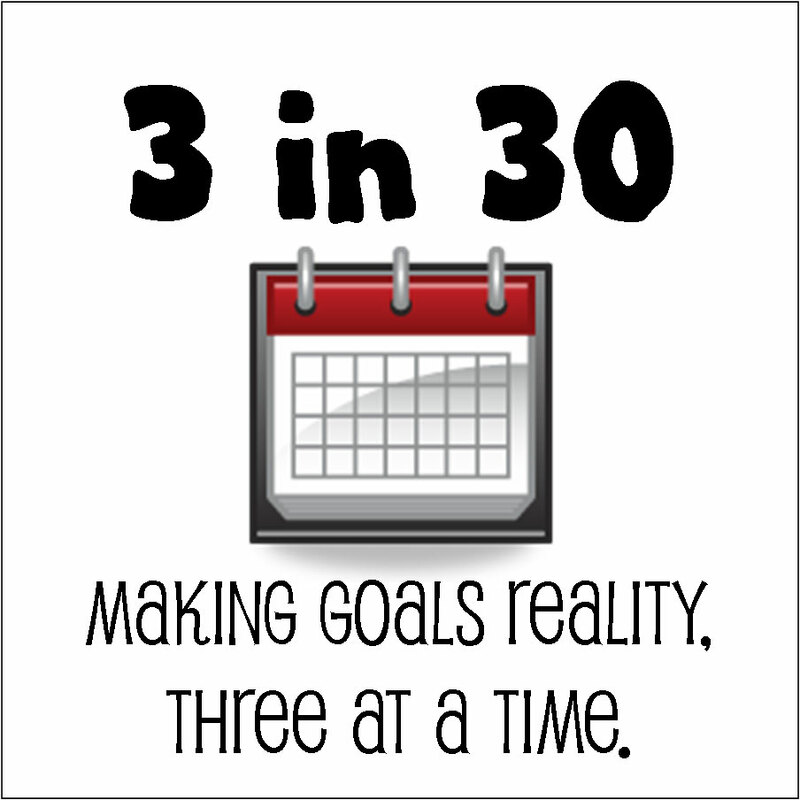 i love the 3 in 30 idea!